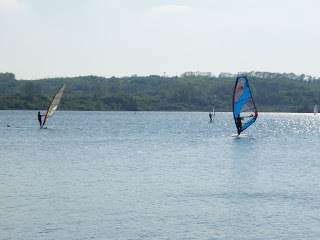 johnskye.com News Blog: Brogborough Lake- Back to my roots! Brogborough Lake- Back to my roots! 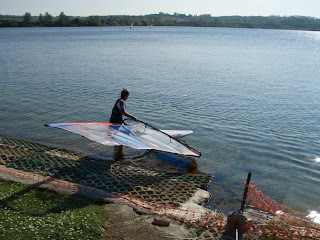 Brogborough lake was where I first really started windsurfing and my home until I learnt to drive. Its a really special place to me and I always love to go for a quick sail whenever I am back. This trip was quite a bonus as the forecast was for nothing, but Nayra wanted to see the lake anyway so we headed up. I was treated to some pretty decent wind, enough for a 7.0 on a 115 XTC. Just like the old days, a fun bit of blasting and with the amazing weather we are having at the moment it was extra nice!